Jim Frater is an award-winning Cinematographer and Director of Photography specialising in documentaries, drama-documentaries, commercials and feature films. 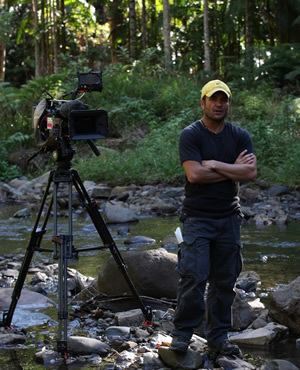 His work has been featured across all major Australian, UK and US networks, including the ABC, the BBC, CNN and NBC. Recent projects as Director of Photography include The War That Changed Us (4 part series for ABC), Enigma Man, Desert Wars, Singapore 1942 – End Of Empire, The Great Escape – The Reckoning, Surviving Mumbai/Mumbai Murders and Leaky Boat.Jim was also the Aerial Director of Photography on Jandamarra’s War. His latest steadi-cam credits are These Final Hours and Son of a Gun.